The Wantirna South Football Club was formed in 1952…it has a rich history of persistence and camaraderie, with many past players still great friends. The club has had a very enjoyable era the past 20 years or so on the field, whilst maintaining its community connection and core values. However, it is today and this season that matters to our players, and they want their own achievements to grab – And that’s what the club is focused on. We field four playing groups: Seniors, Development Team , U19’s and Veterans. The Club’s Committee, Players and Members are a football loving community who are pleased to be right in the heart of the Knox area. 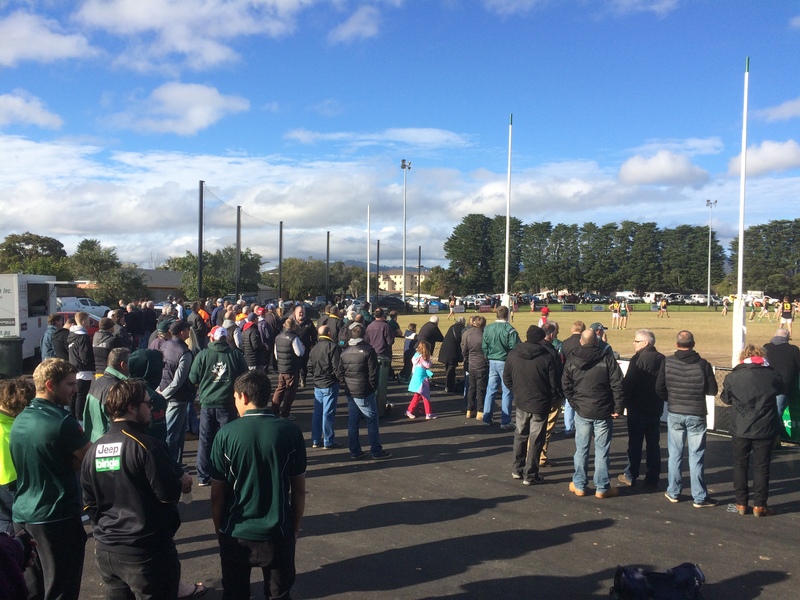 The Wantirna South Football Club prides itself on bringing the community together for football games and to connect them with our Business Partners, who are great supporters of local footy. It is our belief that a player who joins the Club will have the opportunity to develop as a player on the field, and to develop as an individual off the field. We are a not for profit club who reward players for excellence, but also provide opportunities for people to get involved in a real live, operating football club. Our players can enjoy being part of the club from Under 19’s through to Veterans (over 35’s). There are opportunities for players to develop into leadership roles too. Local football has all the elements Australians love about the game – Club rivalry is alive and well and you are very close to the action. Many of our players grew up in the area and played for the Wantirna South Junior FC – The Devils, and other junior clubs in the area. We always intend to develop our players to be the best they can be, and to enjoy themselves playing footy and being part of the club. The club has appointed Steve Cochrane as the Senior Coach for 2019. Sam Bates will be the Senior Assistant coach. Further appointments will be announced soon. 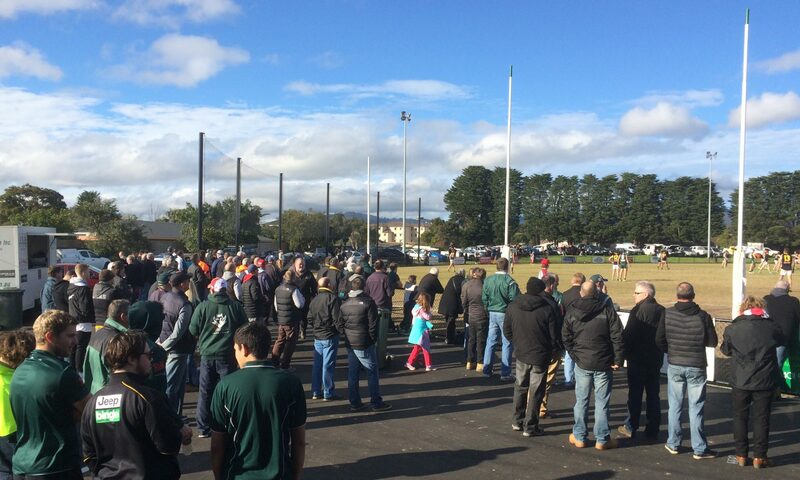 Get down to the Local footy – It is a great day for everyone, including the kids! Why are Football Clubs Great? We would all agree that the main benefits of any sport is for young people to learn new skills, meet new friends, have fun, keep fit and learn about winning and losing and being able to accept that graciously. However, whilst the focus is on the young men because it is senior sport, it’s our view that it can also provide benefits for their families. Whether it’s being involved in an official capacity, helping out when asked/rostered, being reminded that winning isn’t everything or meeting new people, sport is an integral part of the period in our lives as our young men are growing and involved in sport. In addition, sport and sporting clubs are important parts of the community, particularly for providing the benefits listed above. The benefits of various community groups within society is well documented and are probably more important today than ever before, as our lives get busier and more is expected of everyone. However, it’s our view that football clubs (both junior and senior) create their own communities and environments, better than any other sport does. I’m yet to see or hear about another sport that goes out of its way to create environments that encourage people of all ages to come together and have the opportunity to feel welcomed, as well as football clubs do. Each training night or Saturday game there is an opportunity to meet other parents, have a chat about your day, your kids (why your teenager son is acting like a Neanderthal too…and all along I thought it was only mine !) and life in general. It’s an opportunity to get involved with the coaches, helping with running the games or a volunteer role at events and functions and doing something that is totally different to your daily job. The benefits are huge and well proven. Coming down on a Thursday night and being fed dinner for as little as $12, Supporting the teams on game day or making the effort when asked to pitch in, creates opportunities to have time out from your normal routine, it lets you meet different people, maybe some with like interests (people at footy clubs do actually talk about other stuff, not just football), potentially hearing about employment opportunities, watching your sons run around with their friends in a safe environment, having them meet new ones and everyone relaxing and taking some time out. Life is hectic, everyone works hard and families are stretched many ways and football might be seen as just another activity that needs to be fitted in, but through a footy club it is more than that, it is an opportunity. An opportunity to connect with your sons, connect with other adults, feel welcomed and supported and appreciated. I’d like to think that we do that at the Devils as well as anywhere. Whether you’re a single parent, step parent, guardian or grandparent and live close or have to travel, everyone is welcome. As your sons grow, you will see the benefits for them and you of having been part of a community and one that cares like we do at The Devils.